This past New Year’s Eve, the Italian town of Collecchio enacted a quiet-fireworks-only rule to reduce the harm to local animals. Why? If you’ve ever watched a dog cowering in a closet or under a table on July 4, you know full well how much animals hate fireworks. It’s not just pets; studies have shown that the noise created by fireworks displays creates major disruptions to wildlife and livestock. Birds take flight when they should be sleeping, and some become disoriented in the post-explosion haze. Animals like rabbits and deer become frantic and can flee onto roadways or get lost. Not all humans are so hot on fireworks, either. Think of the small children you see every year, screaming, crying and covering their ears as the big show begins (sorry about that, Mom). Then there are the combat veterans with post-traumatic stress disorder, many of whom are triggered by the sounds of explosions. Nobody wants to hurt children, veterans, dogs, or bunnies, but we also don’t want to give up our glittering overhead extravaganzas. Fortunately, there’s a compromise: quiet fireworks. Sometimes billed as “silent fireworks,” quiet fireworks are just that: explosives with the sound turned all the way down. The visuals are just as good; it’s only the ear-splitting noise that goes away. Not every pyrotechnics manufacturer offers quiet fireworks, but they’re becoming much more common. 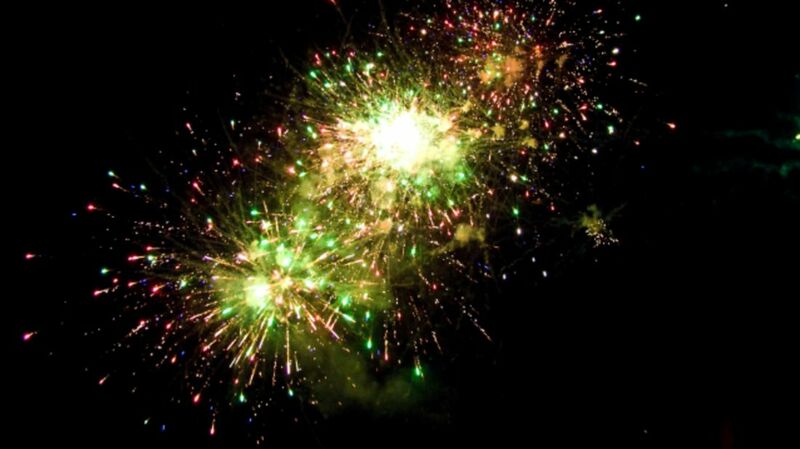 One wedding venue in the UK has switched to silent fireworks. Interested in converting your local fireworks display? Contact your town officials and tell them they’ve got options.